As we start another new year, we are already seeing a surge of new and enthusiastic buyers ready to make the next move in their lives. And while flats are still one of the more common purchases and two up two downs are very much in demand, we are also seeing a rise in the number of people looking at bungalows. Unlike more ‘traditional’ homes, a bungalow is a single storey house, originally far more popular in countries like Australia and South Africa, where there is lots of room to expand. But while England sees more terraced housing and apartments, you still see bungalows in the more rural areas, where space is a bit less tight. And since there are some pretty strong advantages to buying a bungalow, the property type is in high demand. One of the main reasons people opt for bungalows over traditional houses is that they’re easy to get around. Because they are all on one level, there are no stairs to impede free movement, making them perfect for people with limited mobility. This is actually the reason they are particularly popular with those who are older or struggle with injury or long periods of mobility. Most bungalows feature an open-plan design, which creates the illusion of more space, freer movement and an airier feeling to the home. Although they are still regarded as very traditional homes, this open-plan makes them perfect for more modern design features. It can also be adapted to suit a more minimalistic, chic interior with more ease than other homes. Bungalows are a perfect ‘middle home’ option since they remain in high demand on the market. Not only that, but they represent an opportunity to sell for a much higher price than you paid, for just a little effort. 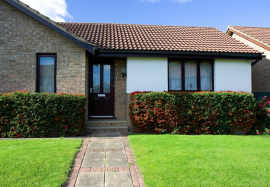 A bungalow is like a blank canvas - perfect for modernisation, extensions, conversions and more improvements that can have a significant impact on the value of the house when it comes time to sell. For this reason, if nothing else, a bungalow is a sound investment at any time. Unlike terraced houses and apartments, bungalows are usually detached or semi-detached. This means they offer extra privacy and noise reduction from neighbours and the surrounding location. Most bungalows will also come with a garden, which can be equipped with fences or hedges to secure your privacy from the outside world without cutting yourself off from it completely. If you’re planning to extend, ensure you will be able to obtain the necessary paperwork and planning permission before you buy. Are you considering a loft conversion? If so, remember that you will be losing storage space, so keep that in mind when packing and buying storage space. Are you looking for a large plot of land? Bungalows often come with larger plots of land, so if you’ve not found a house with a plot you like, it might be worth considering buying a bungalow and doing some renovations. If you enjoy open plan, spacious living, a bungalow will allow you to work with the light and give you the illusion of much more space and comfort. At Northwood, we work across the Reading and Newbury area to provide buyers, sellers, renters and landlords with the kinds of properties they want. At any one time, we have a range of properties available, from studio apartments all the way to bungalows in the suburbs, waiting for you to fall in love with them. To find out more about buying your next home with Northwood, just get in touch with the team today.